I’m waiting for the review of Flott tuna. I’ve done the comparison between their tuna in a glass bottle and that in a can. The glass bottle packed tuna won by a landslide. I could not agree with you More Genova tuna is so much better then the other common brands I can barley stand to eat the others. If there is a better tuna out there I have not found it yet. I have found Genova Tonno with the same label made by dfferent companies. Is Genova Tonno a brand or is that just the generic name. Is all genova tonno yellow fin? How does genova differfrom progresso tuna? I’ve been buying solid white tonno genova tuna in olive oil at Harris Teeter. I just discovered that is distributed by Chicken of the Sea in San Diego. I really like the taste of it and the fact that it doesn’t have additives; however, on occasion I’ve bitten down on something like rock salt. Didn’t think much of it because that is found sometimes in canned salmon. However, the last can I opened had something in it that appeared to be glass. Fortunately I didn’t break a tooth or swallow it. Has anyone else had a similar experience? I’ve contacted Chicken of the Sea. Thanks. I have had Genova tuna for a year already. In between, I tried Starkist and Bumble Bee. To me, none these brands can compare to Genova. It may be a little bit more expensive than the others. But it definitely worths every penny. I introduced this to my mother-in-law. She loves it so much. Bad thing is that it’s not easy to find in many grocery stores. Thanks. Oh, by the way, the Tuna Guys is short line troll caught Albacore out of Canada. That means it’s the babies becuase they are near the surface hiding from their deep diving overblown behometh type siblings. That mean the babies are low in mercury. Being mercury is a cumalative heavy metal it adds up over time as the fish get bigger and older. They have changed their site but the original claim was that it had less mercury than canned salmon which would allow a person to safely eat five cans a week! However, the site is now stripped of all data pertaining to such. Yet the omega 3 levels remain the same on the can so something is going on here vs. the other guys. Oh, they also got canned smoked steelhead and other delicious little northwest fishies. And you can buy online! And no, I do not own Tuna Guys stock and/or work for them. Just a lover of high quality protiens. Actually the best albacore tuna out there right now is Day Island Fish Co. It is the most moist tuna I have ever tasted. I couldn’t believe when I opened the can how solid the fish pack was. This tuna also has high high levels of omega 3 oils – 2200 mg of omega 3 oils per serving. What I like especially about this tuna is that it is a USA product, actually a Washington state product and I found out that it is the actual fisherman’s albacore tuna that he catches on his very own boat. You have got to check it out. It is the best of the best!! Genova used to be a daily item for me, though recently something has changed in the quality of the tuna. Cans went from 6oz to 5oz and the tuna itself appears different; perhaps they’ve switched from yellow-fin to something else? It’s a shame… I loved the old Genova. Oh well, it’s Pastene for me now, which I find very similar. 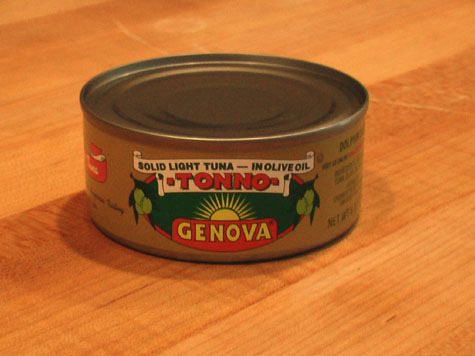 The Starkist web site still lists a 6oz can of Genova Tonno. Perhaps your retailer just chooses not to stock it. I love Genova Tonno. I am not a big fish eater, but there is someting about this tuna that is special. I love to put a can in a tossed salad with olive oil and vinegar. 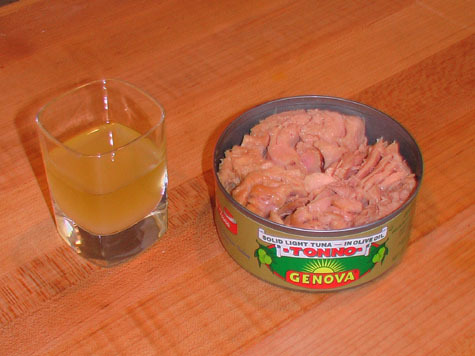 I can remember having tuna like this, and I think it was this “Genova Tonno” brand, when I was a child. I am now 66 years old and I still love it. Yes it is better that Albacore, I get 7oz cans at costco at under $2.00 a can. Tuna Guys canned albacore is the best on the market.You get a solid pack of Albacore and need a fork to get it out of the can. Its only cooked one time and with the pull top lid you can take it anywhere. They have been canning ther albacore for at least 10 years and pride there self on a quality product for there customers who are number 1 in there process.Try Tuna Guys once and wont buy anything else. I was trying to find the Genova Tonno on the Internet hopefully cheaper than at Albertson’s. I used to get the 3oz for $0.99 when on sale, down from $1.19. Recently when I was there, the price of the 3oz can was $1.59, so I didn’t buy any. The Jons Market chain has the 5oz can for $2.29 so I ended up buying some there. I used to eat the 3oz. can daily for lunch because for several years I couldn’t eat anything but proteins. Now that I’m doing better digestion wise, I stopped eating it as often, but they’re very handy for lunch with their self opening top. One thing I wanted to mention is that now that I stopped eating the tuna I started to get aches in my joints, so one day I tried a capsule of Omega 3, and that really helped. In other words, apparently the Genova tuna must have enough omega 3 to help with the pain. Great article! tried to find a high quality tuna in broth or oil for years… In america, its mostly water packed. we prefer tonno yellowfin, smooth flavour, over bumblebee water or starkist usa water which has zero taste. Wonder if tonno has bpa in its cans?